Arrest of escaped ex-banker charged with $520 mln embezzlement appealed | Russian Legal Information Agency (RAPSI). 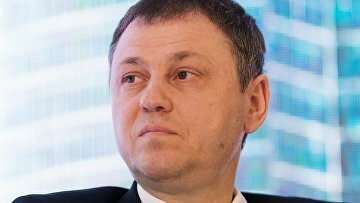 MOSCOW, March 18 (RAPSI) – The Moscow City Court has set March 27 as a date for hearing an appeal against arrest of ex-president of Otkritie Bank Eugeny Dankevich charged with embezzling 34 billion rubles (about $520 million) in absentia, the Basmanny District Court’s spokesperson Yunona Tsareva has told RAPSI. According to the Basmanny District Court’s decision, Dankevich is to be placed in detention within 2 months after his extradition or actual arrest in Russia. According to the investigation, Dankevich left for Israel in September 2017.